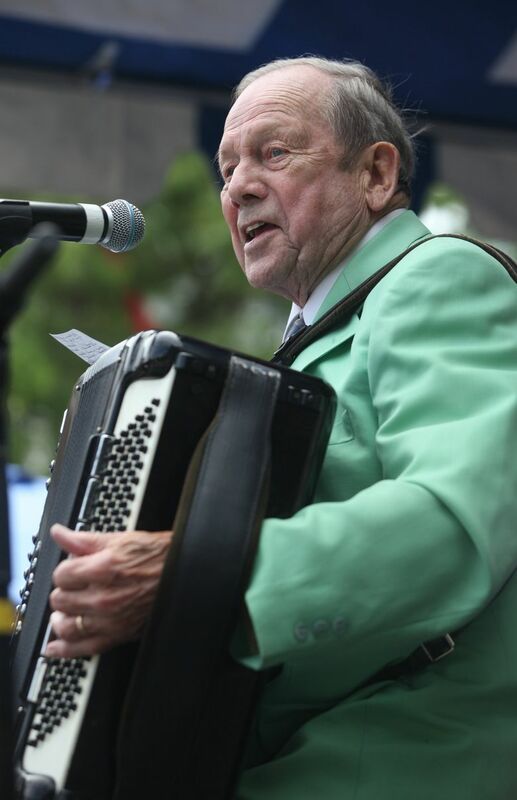 Stan Boreson, the genial, accordion-playing host of a children’s show on KING-TV and a regular presence in Puget Sound-area baby boomers’ lives, died Friday, Jan. 27. 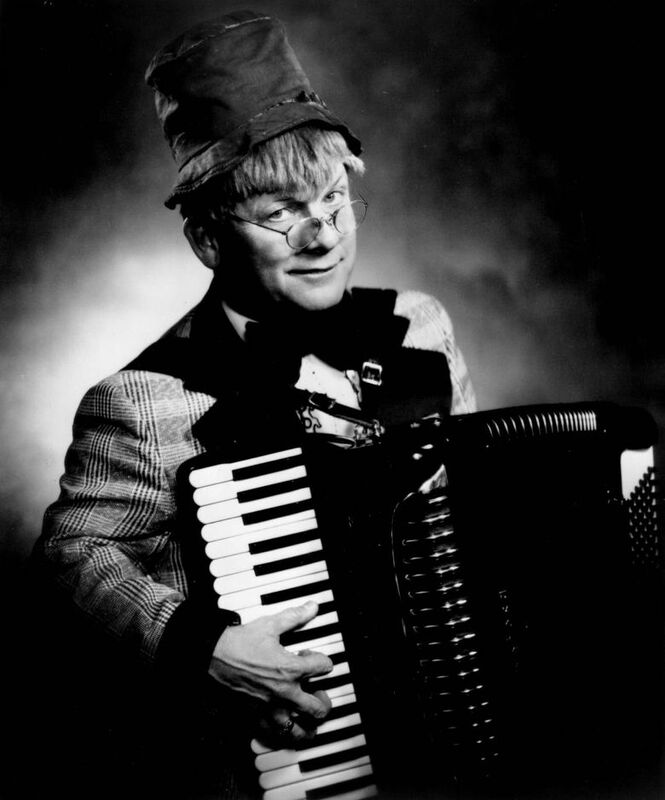 Stan Boreson, 91, the accordion-playing “King of Scandinavian Humor,” who from 1954 to 1967 hosted a kids show on KING-TV, died Friday night (Jan. 27). Mr. Boreson was part of many a Puget Sound-area baby boomers’ childhood days, back when television stations had on-air personalities who hosted kids shows. 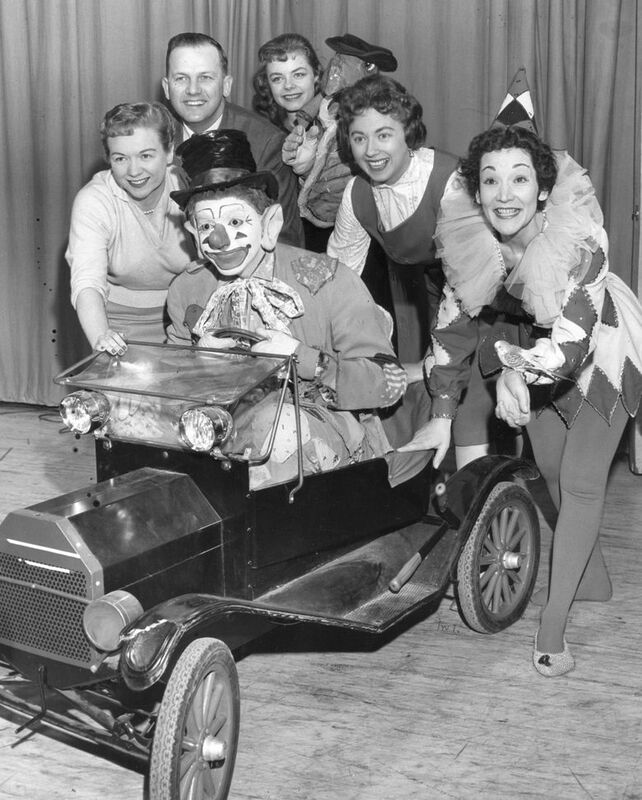 The group in this area included the late J.P. Patches, and Brakeman Bill, Captain Puget and Wunda Wunda. Mr. Boreson and his wife, Barbara Boreson, had just finished dinner Friday at their University Village-area senior complex when he suffered a stroke. “It was peaceful,” said Barbara Boreson. They had been married 64 years. 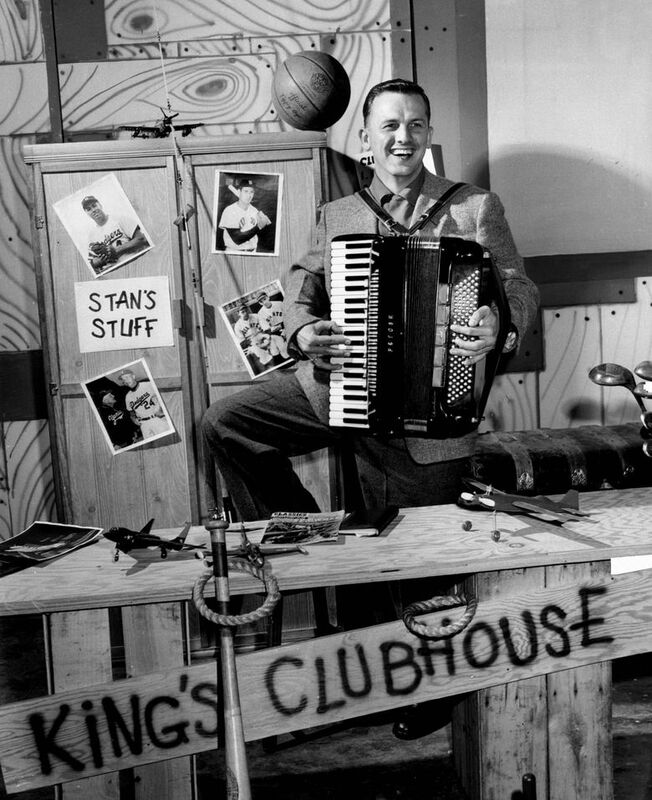 Mr. Boreson’s show — first called “KING’s Klubhouse,” and then “The Stan Boreson Show” — featured his accordion playing, which was excellent, along with numerous corny songs. His daughter, Ann Boreson, of Los Angeles, remembers that when she and her brother, Stan Jr., of Camano Island, would walk with their dad, he was always tapping the fingers on both hands, as if he were playing the accordion. “We’d just watch; he kept them moving all the time. He was always making music,” she said. Such a song harks back to a seemingly much more innocent era before the internet made everything and anything available 24/7. This was a show in which two main characters were Mr. Boreson’s basset hounds, Tallulah and No Mo Shun. “I was in the bedroom ironing a white shirt when I heard the news on TV that Kennedy had been shot. Curtis Blackwell, 59, who owns a Bothell video-production company, put together two video tributes, each about one-hour long, consisting of tapes from Mr. Boreson’s shows. Blackwell was, and is, a fan of Mr. Boreson, and he said the latter gave him tapes from the shows. Mr. Boreson’s kids shows, and the other local ones, said Blackwell, were done live and on low budgets. Props were often made of cardboard. There we no scripts, just a bare outline of a sketch. “They made stuff up as they went along,” said Blackwell. Something that Blackwell did as a 4-year-old illustrates the connection the hosts of the kids shows had with their audience..
“My mom told me that I had started taking apart our old black-and-white Sears & Roebuck TV console trying to find J.P. Patches inside it,” he said. He released popular Scandinavian-flavored Christmas albums with songs such as, “All I Want For Christmas (Is My Upper Plate),” and “Walking In My Winter Underwear.” He performed the latter tune in 1957 on “The Lawrence Welk Show,” the popular variety show on ABC. After his TV career ended, the baby boomers who grew up with him continued to follow Mr. Boreson. From his website, fans could order 16 different CDs with his tunes. 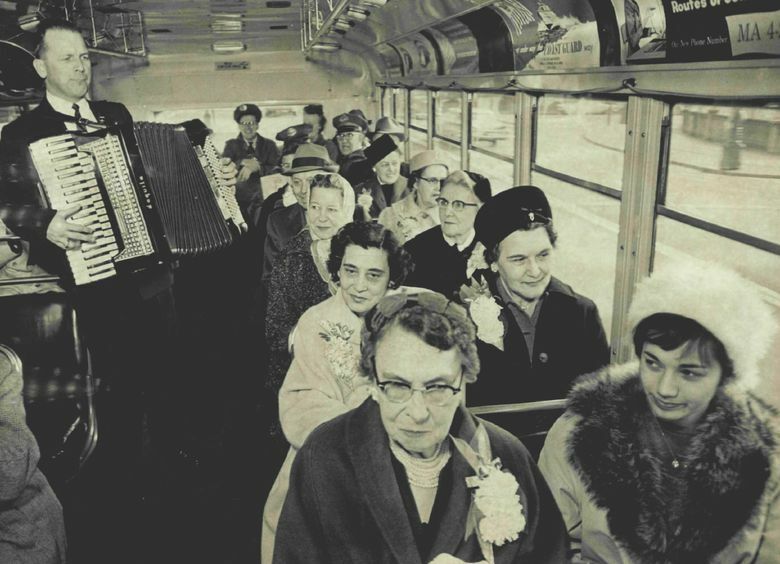 For 25 years — until 2013 — they could travel with the Boresons on guided tours in North America and Europe. Of course, Mr. Boreson brought along his accordion, the same one he had been using since his TV days. One of Mr. Boreson’s last forays into the recording world was his 2008 version of Sheb Wooley’s “I Just Don’t Look Good Naked Anymore.” It has gotten 380,000 views on YouTube and shows Mr. Boreson’s fleshy body and a strategically placed accordion, although he does have underwear on. Mr. Boreson always prided himself on a clean act. “He loved to make people laugh. 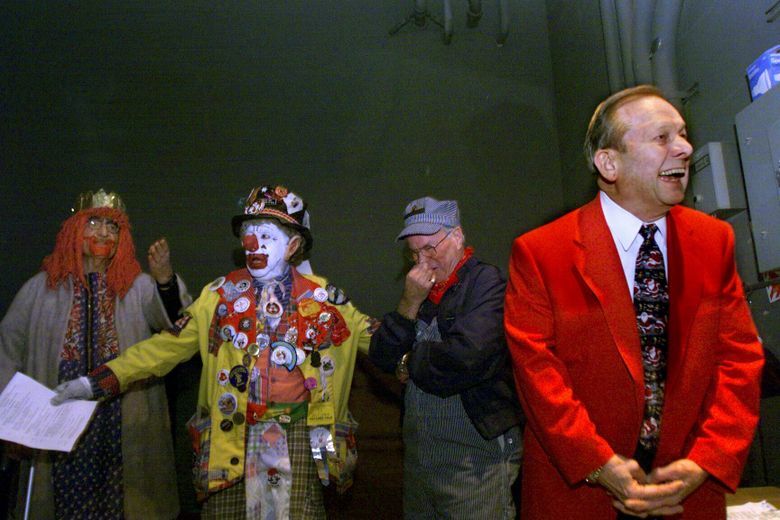 He laughed at his own jokes more than anyone else,” said Barbara Boreson. The family hasn’t yet decided on how best to memorialize Mr. Boreson.